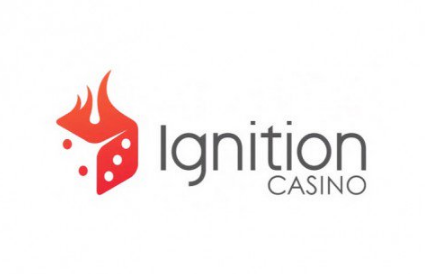 Ignition Casino is a popular brand which came online in 2016. They are owned by Lynton Limited which is the same company behind Bovada and Bodog casino. Even though they are relatively young in age Ignition casino already has a big number of loyal players. This is mainly due because they are US friendly allowing players from this jurisdiction to freely create accounts and play for real money. The casino is powered by Rival Gaming. As you already guessed the driving force of the casino are video slots, where you can find close to 200 attractive titles. Beside video slots the casino also offers video poker, table games, keno, scratch cards and poker games. But what separates this casino from most other US friendly casinos is the fact that they have live dealer games available. 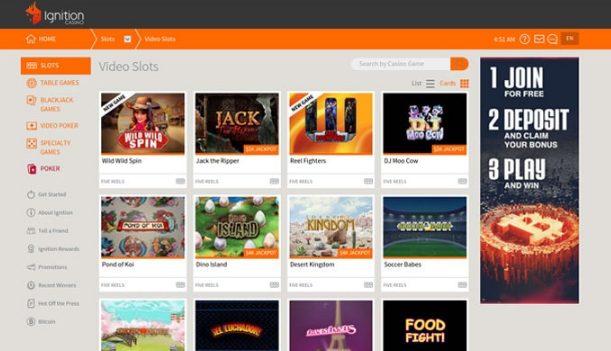 Their live games section is very attractive and modern, which is the main reason why they have a big number of loyal daily players. When it comes to making deposits and withdrawals the offer is somewhat limited. Players can only use Visa, Master Card, American Express, Bitcoin and Bitcoin Cash for making deposits and withdrawals at the casino. But on the plus side the payout timeframes are much faster than in most other casinos which are US friendly. Paper check payouts still take 7-10 business days, which is pretty much the standard payout time frame for this method. But if you decide to use Bitcoins you can expect to receive the winnings on your account within 24 hours. This detail is very attractive to many players and the main reason why most players decide to use Bitcoins for making payments at Ignition casino. If you decide to make your first deposit at the casino by using Bitcoins you can claim a generous 200% match deposit bonus up to $2,000. All you need to do is enter the bonus code IGBITCOIN200 when making your deposit. But the bonus offers don’t stop there. Each week you can claim a generous 100% match deposit bonus up to $100 and you can also claim a lot of regular bonus promotions. When it comes to support Ignition casino has a professional support team on the standby 24/7. You can contact them at all times and they will be more than happy to help you with your problem. Ignition casino is licensed in the jurisdiction of Costa Rica and for now they have a solid reputation.